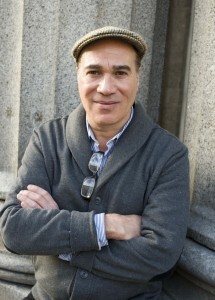 I am delighted to be part of the Templar Summer Blog Tour and to welcome Yuval Zommer as part of it. 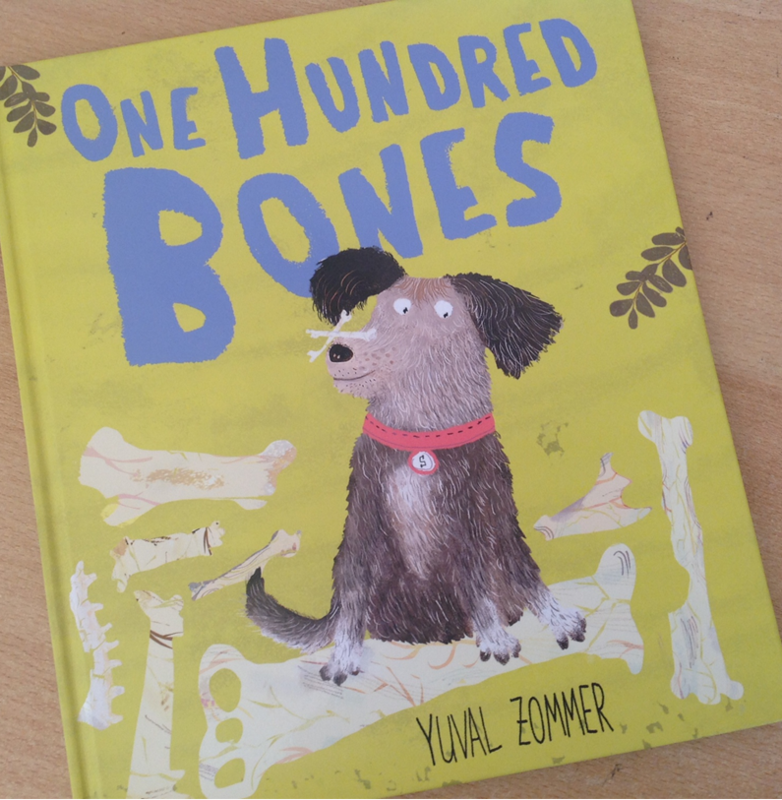 Yuval’s second picturebook One Hundred Bones has just been released. 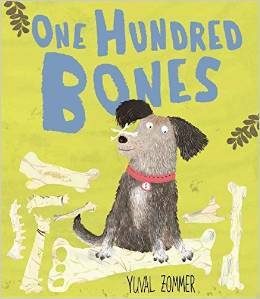 One Hundred Bones is the story of Scruff, a stray dog, who just loves to sniff about for bones. His enthusiasm for digging pays when an unexpected find of a big pile of bones is about to change his life, for ever. My latest picture book One Hundred Bones (Templar) is being launched and I am looking forward to all the bookstore and school visits. 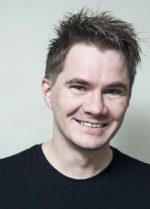 One of the first questions I get asked is what inspired me to come up with the story and is Scruff based on a real dog? 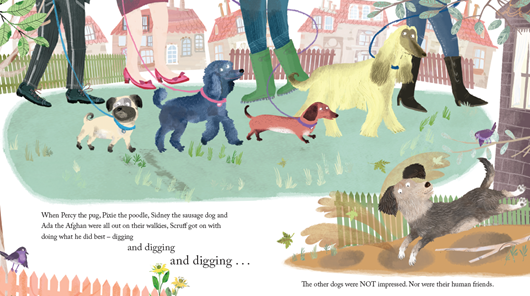 Well, the book is inspired by the dogs in my neighbourhood! I live and work in a part of London which is known as ‘gentrified’, many posh dogs are moving into our once scruffy area. My desk is by a large front window (I need a lot of light), whenever I fancy a break from my computer I simply look at the tree lined street outside and the many owners walking their dogs who are stopping by. The dogs all have such characters and yes, some resemble their owners or is it vice versa? 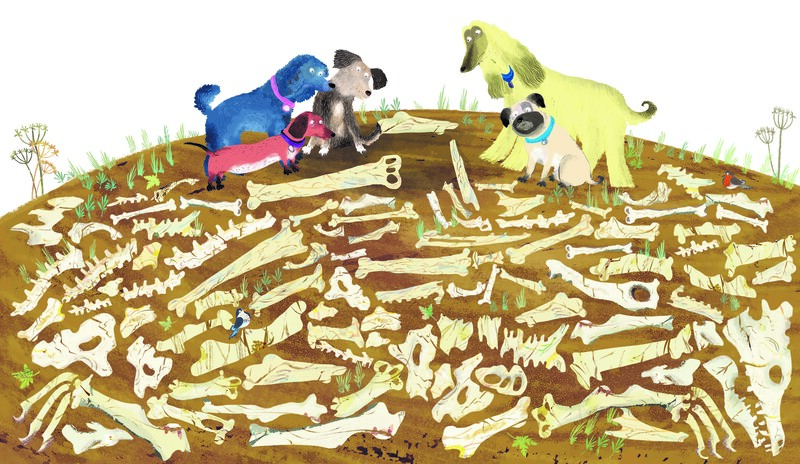 One of my favourite all time places in London is the Natural History Museum, a treasure cove of bones…so I thought the dogs might like to visit there too. It wasn’t long before the story was born. When it came to Scruff the stray I just knew I wanted him to be a ‘real’ dog, a mucky mutt who is fond of digging and sniffing, the kind of underdog who’ll eventually triumph. 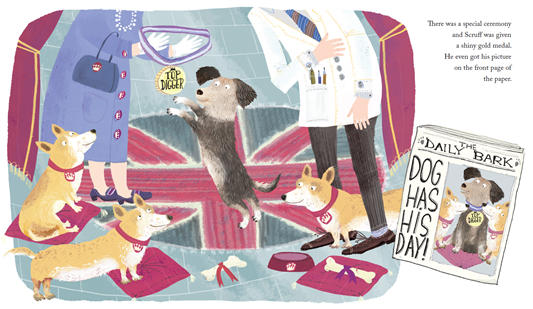 Young readers find it easy to relate to animal characters so I tried to illustrate the dogs in the book as dogs and not ‘humanise’ them too much (They will not be wearing human clothes or driving cars etc). I felt the story would work best if told from the dog’s point of view. 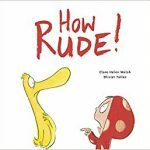 But it was the book designer Genevieve Webster who actually came up with the brilliant idea of only showing the humans’ legs! I found out you can also tell a lot about people by the shoes they wear! As a child I’ve always had dogs, indeed now that I think about it, they were all unwitting models for my early childhood attempts at life drawing. If only I’d kept those drawings! There is currently a space reserved under my desk for someone to take a nap. 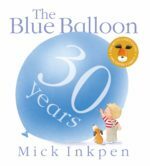 The only thing stopping me from making that visit to Battersea’s Dogs Home is the thought that I could end up with two or three companions…Their presence will be appreciated though, I will be spending many more months at my desk working on Scruff and his pals next adventure. I can’t reveal too much yet, but one thing is for sure: they are always one hundred things on Scruff’s mind! 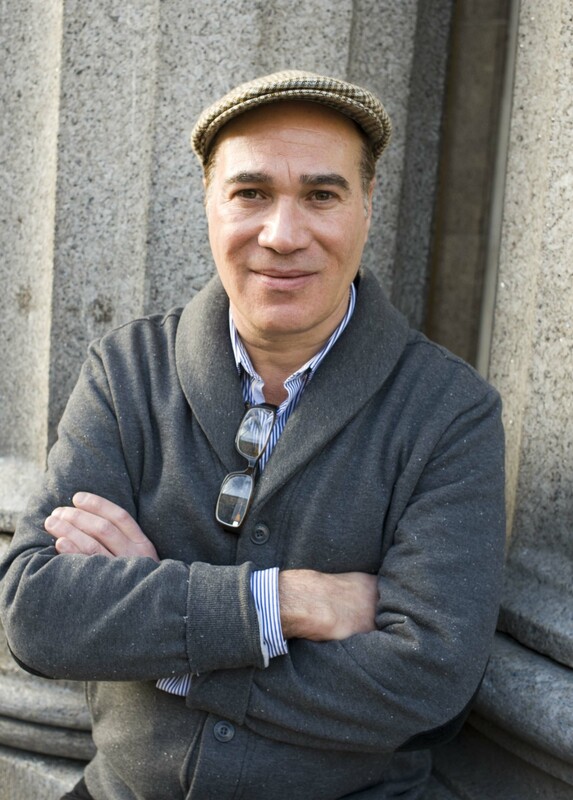 Thank you so much, Yuval! 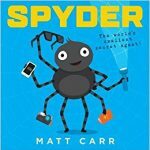 Don’t forget to check out the other blog posts: Templar Publishing Blog, Helen Hancocks on The Book Sniffer and Sam Lloyd on Picturebooks Blogger. Rendez-vous tomorrow on Read it Daddy with Emma Yarlett!